Do you know Hugs are Fun? I mean, yes, hugs ARE fun, but I mean Becca from the blog and shop Hugs are Fun. She's as sweet and fun as her online identity. And an extra perk for me is that she lives close by, so we've had a couple breakfast meet-ups! 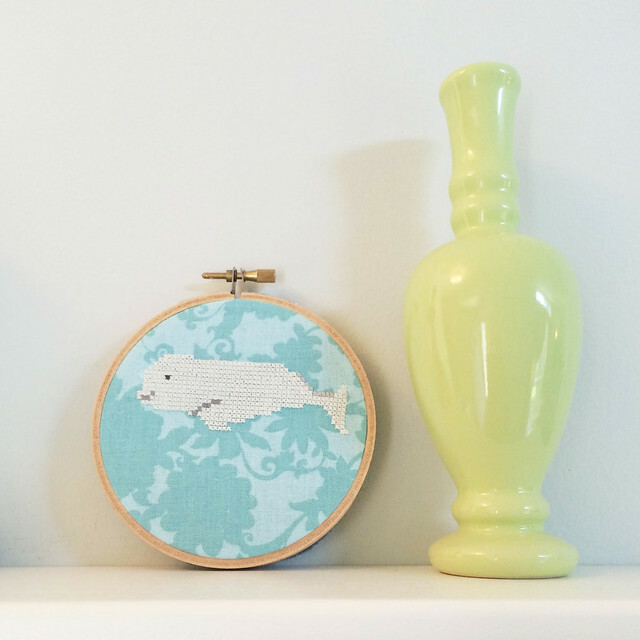 Becca makes awesome cross-stitch designs, and so I invited her to create something for this month of belugas! She came through with a darling little guy, and it's yours to stitch and enjoy too. 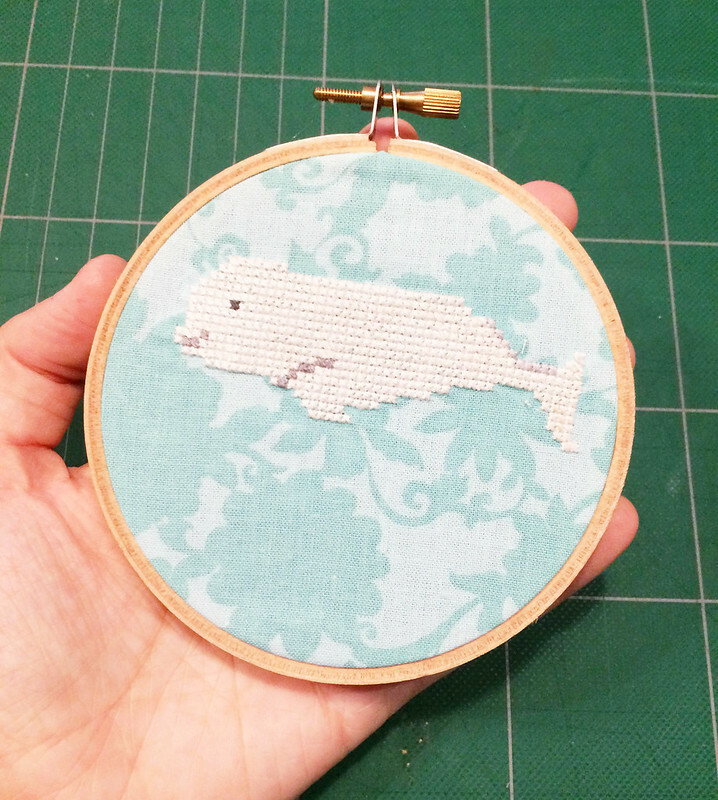 DOWNLOAD THE BELUGA CROSS STITCH PATTERN. Did you notice that this is stitched onto regular cotton fabric instead of aida or cross-stitch linen? Becca uses water-soluble canvas to do this, and I gotta tell ya, I love the look so much. Oh, and one last detail. The chart you can download will fit in a 4-inch hoop when stitched at 14ct. Thank you so much Becca! Happy Stitching! It's lovely, perfectly cute,... thanks for sharing! It's so cute, thank you Becca! That is so cute! Baby beluga! I love the patterned cloth it's stitched on! What a sweetie! The stitcher and the stitched! Water soluble canvas?!!! Mind blown!!! Thanks for sharing Mollie!